Several Seishinkan ISBF volunteers from the USA and Japan are working on the site updates. Check back daily to see the progress. Send your feedback, comments, suggestions, and requests. 06/09/2007 - Updated the Interview With John Viol Shihan. If you read some of it before, it has all been updated. You should read it again from top to bottom. 06/05/2007 - Updated the Interview With John Viol Shihan. 06/03/2007 - Activating and updating OSG1 and Sogo sections of the site. Lots of great resources there. Will take some time to update. 05/29/2007 - Updated Martial Events and Martial Products pages - check them out. Tsuejutsu - Cane Combat Seminar by Viol Shihan coming in June. Mark your calendar now and pass the word. High quality warrior weaponry back in production. 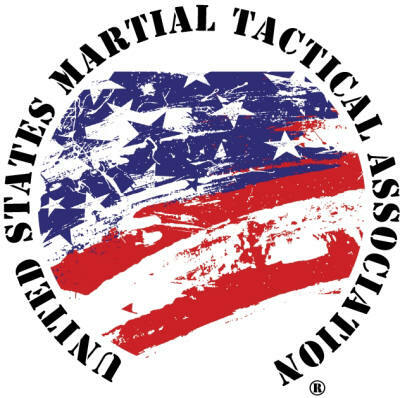 See the Martial Products page for preview information. 05/25,26,27,28/2007 - On break - remembering and honoring the fallen. 05/24/2007 - Same as 05/23/2007 below. 05/23/2007 - Tweaking some of the older pages with updates, corrected links etc. If you have not been to some of the older site pages lately, you may want to check them out. If you find any errors at all, please do let us know. 05/22/2007 - The content of all newer pages have been updated. Keep in mind that the newer pages will be constantly under revision. Any pages you may have seen before have been changed either a a little or a lot. You should check everything again periodically. 05/21/2007 - Responding to overwhelming amount of communications being received from all over the world. Updating some pages and content accordingly. 05/20/2007 - Updated some of the newer pages with minor information. Please check to see the updates. 05/19/2007 - Still working on some of the older pages. 5,000 pages takes time to convert and check especially with outdated code. Bringing everything up to current standards and tweaking for optimal performance. YOU can help by sending feedback, comments, suggestions etc. 05/18/2007 - Coordinating with sites that are related to Seishinkan. Striving for information and content consistency between all Sogo sites. 05/17/2007 - Working on refining the most popular pages on the site. According to site statistics, some of the most popular pages are; Warrior Quotes, Weaponry Anatomy, proper way to string Nunchaku, etc. so we are focusing on the top 10 martial pages on the site. 05/16/2007 - Still working in the older sections cleaning out directories. Updating graphics, links, contact information, and old code. You should notice the new sections of the site loading lightning fast yes? 05/15/2007 - Setting up Shibu (branch) Dojo pages that will include instructor, program, and contact information. 05/14/2007 - Worked on interconnecting and cross linking related pages throughout the site for easier navigation. Developed some of the How To sections of the site in preparation for going live. 05/13/2007 - Worked on some minor cosmetic additions to the site. Taking in the massive amount of feedback being sent in and working towards accommodating the extensive requests. 05/12/2007 - Uploaded many more martial photos, artwork, graphics, clipart, etc. to the reserved members site. Developing the Contributor Resources Area. Working behind the scenes in preparation of major content releases. Put up some more martial articles. 05/11/2007 - Developing more in the reserved members area. Request your access now. Developing the Martial Resources section particularly the Martial How To areas. 05/10/2007 - Most of the primary older pages have been converted to the new format. Many of the Japanese pages have been converted to English and Japanese. Working on some other languages. You can help by checking some of the older pages in the original site and reporting any anomalies. Site stats are going absolutely ballistic since the new changes. Reserved sections of the site are under development. An incredible wealth of extremely valuable resources that cannot be found anywhere else. 05/09/2007 - Many of the pages in private sections were in Japanese. Converting them to English / Japanese for our members in Japan. 05/08/2007 - Still working on converting old pages to new format. Optimizing coding throughout for maximum efficiency. Please check out the older converted pages. Reward if you find any mistakes or give a suggestion that we use. Not all of the older pages have been converted. 05/07/2007 - Adding some articles to the site. Further developing the reserved sections. SSK / ISBF members should send in their requests for access to the reserved areas. Requested John Viol Shihan to do a martial blog. He will blog about requested martial topics. This is a valuable opportunity. Check out the Battle Blog. 05/06/2007 - Re-coding former pages to fit new format. Waiting for input and requests for new content. Developing content for the reserved sections. Inviting testers and reviewers for certain site sections. 05/04/2007 - Developing the massive Seishinkan site map - over 5,000 pages. 05/03/2007 - Updating pages on original English page site. Developing areas reserved for members. 05/02/2007 - The coding in the site pages are being optimized for maximum efficiency. We are looking for feedback and requests for content. We have a new E-M-a-i-l account. 05/01/2007 - Updates for the seishinkan.com web site have begun. The original SSK site is still in place. Get your last looks in now. The original site is massive - over 5,000 pages in English and Japanese. The updated site will have much more. It will take some time to get all the pages converted and the entire site updated to the new format and include all the new content.